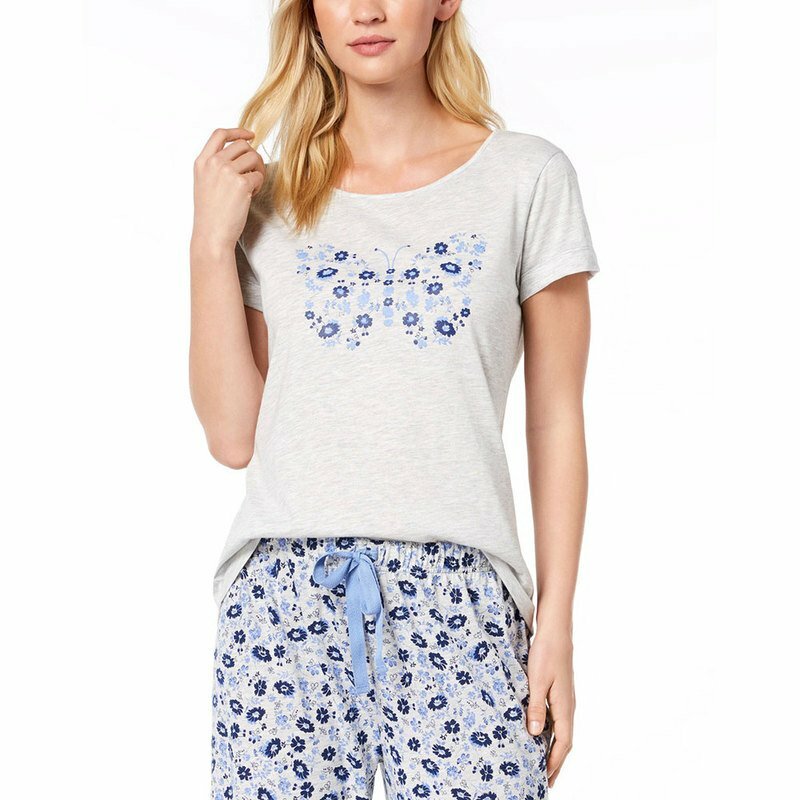 Pretty flowers and birds are arranged in a beautiful butterfly or heart design in this comfy pajama top from Charter Club. Hits at hips; approx. 27"